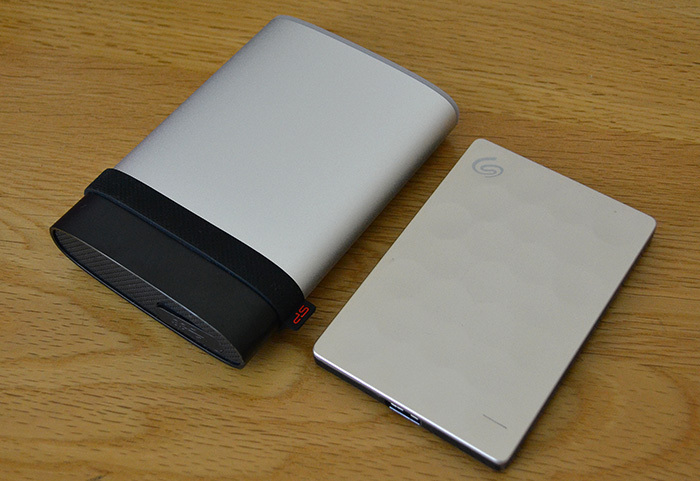 External PC storage is usually defined by balancing the competing needs of speed versus capacity. 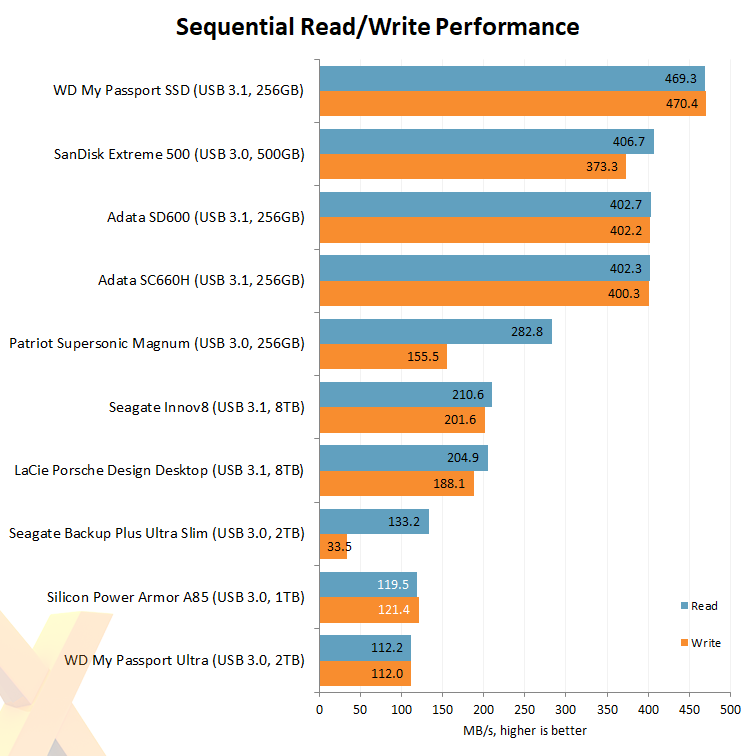 Those who need super-quick access to files - 500MB/s read and write, for example - are best served with an external SSD solution that bashes the benchmarks but costs a pretty penny. Users can expect to pay £100 for a 256GB model from a well-known manufacturer. At the other end of the scale are larger-capacity mechanical drives that give up maximum speed yet offer way more storage potential. Mostly using 2.5in HDDs in an aluminium enclosure and connected to the system via USB 3.0, potential purchasers often go with the cheapest for a given capacity, so expect to pay around £50 for a 1TB model, £75 for 2TB, and £115 for 4TB. You get the picture. Yet there are companies that look at this saturated market and want to offer something different. Silicon Power is one such outfit, though you may not be overly familiar with it for obvious reasons. The firm specialises in producing a whole host of OEM storage solutions and is now aiming to build a retail presence for itself. Silicon Power has a history of producing ruggedised, resilient drives, and the latest iteration is the Armor A85(M), shown above left. Available in 500GB, 1TB, 2TB, 3TB, 4TB and 5TB capacities, the drive is bulkier than most, but with good reason. You see, the Armor A85 suspends the internal drive in a specialised enclosure and then wraps it up in a rubber housing and then puts that inside an aluminium enclosure. Phew. This three-stage process is designed to guard against vibration, increase the shockproof ability, and offer pressure-resistant protection, respectively. Quite some claims. Our 1TB review sample, costing £75, or 50 per cent more than a standard 1TB external hard drive, uses the same protective casing as all other A85(M) drives. This means it measures 132.5mm high, 92.3mm wide and 25.3mm deep, or considerably larger than a 2TB Seagate Backup Plus that we have in the above picture. And it weighs more, with our sample tipping the scales at 314g. 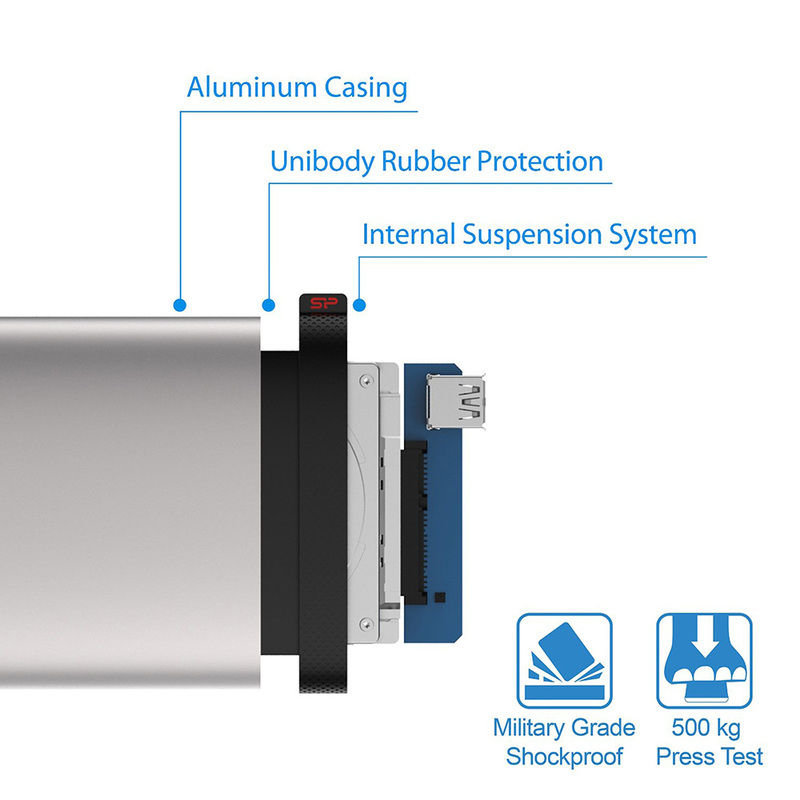 Silicon Power claims the drive enclosure is rated to the IP68 waterproof and dustproof standard. This level of International Protection (IP) is the highest for dust (6) and second-highest (8) for water ingress. In a real-world sense this means the drive should allow no dust ingress and survive being submerged in a metre of water for an extended period of time. 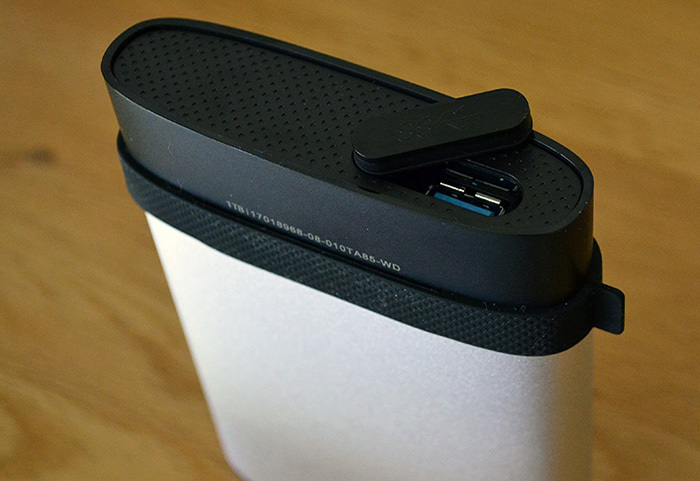 This is why you see the 'heavy-duty' cover hiding the USB 3.0 (USB 3.1 Gen 1) port. Unlike most, the Armor A85 opts for a Type-A port, matching the one on your computer. 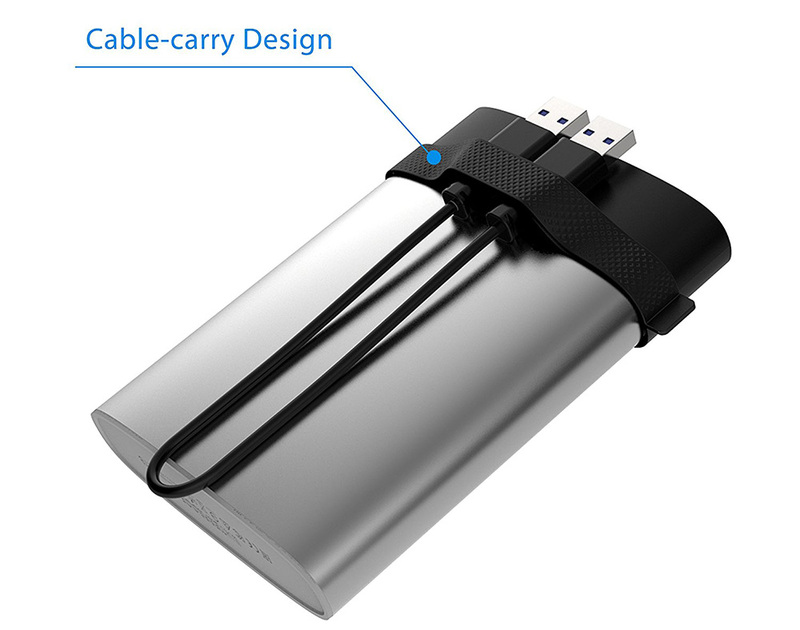 A 30cm Type-A-to-Type-A cable is provided in the box, and the Armor uses the black wraparound band as a means by which to secure the cable when not in use. The tough casing is rated to handle up to 500kg of weight across the smooth, matte aluminium exterior, so on the face of it, Silicon Power has most ruggedised bases covered. Though it looks different from many others, the drive remains host-powered, while drive activity is shown by a barely-visible blue LED deep inside the casing. The package includes a link to the SP HDD Lock Utility free software download for full-disk encryption, which is a handy addition. It's backed by a limited three-year warranty, too. Inside, Silicon Power uses a WDC Blue hard drive. Benchmarking it against a bevy of external SSD and HDD shows that the underlying 2.5in drive does a good enough job of reading large files, and we're glad to see that the write speed hasn't been sacrificed.